I ordered the book through Amazon.co.uk. I already read it twice when I was 16/17, so it's been more than 10 years ago. And now I'm really looking forward to it. I need to read it before I watch the movies... or any new trailers. And today marks the last day of shooting. I did that for LoTR. Well, was my first time reading it. Just recently read the Hunger Games trilogy but looked at photos of movie actors as I read. 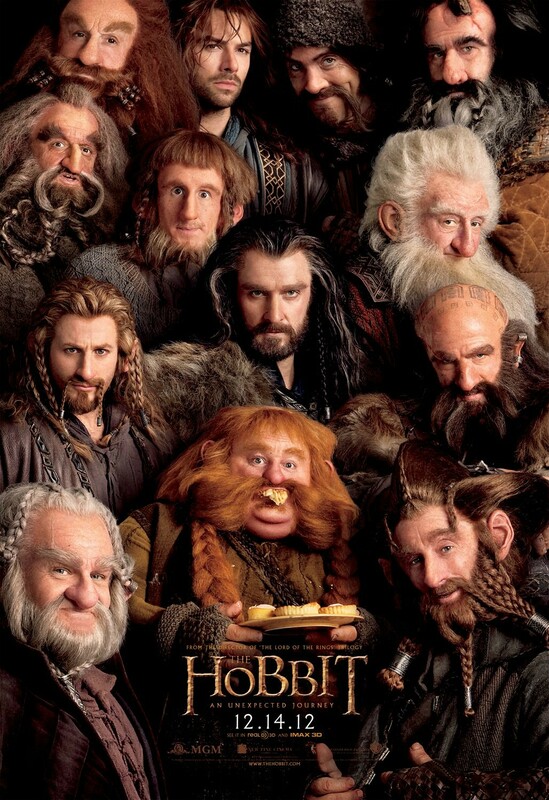 Might do the same thing for The Hobbit to better differentiate the dwarves. Last edited by Teuthida : 07-06-2012 at 07:23 AM. I know this is old news, but did y'all hear it will shown in 48 FPS at theaters? The best part is, they are going to show all trailers in the standard 24 fps so no one will know it will be any different until they show up at the theater, and then they will be blown away. Expect the 48 fps to look like that Automotion feature that LCD TVs introduced awhile back, except without any of the artifacts since there will actually be 48 real frames per second, rather than 24 real frames and a bunch of auto-generated frames filled in in between. Also expect less bitching about the "soap opera" effect, since the movie-makers will be aware of the 48 fps beforehand. So did he record the movie in 3D, just to be ready for a rerelease in some years? I got the book, but I haven't started it yet. When will the movie be released, around Xmas right? It will be in 3D as well. From some random source, I hear there will be the option to see it in 24 fps, 48 fps, and 3D 48 fps. Most people will opt for 3D 48 fps. There will be bitching and moaning while everyone's brain that is used to seeing the blurry 24 fps used over the last 100 years gets its memory upended. But they will get over it -- it will be better. That said -- much like 3D, 48 fps is just another tool in the chest. There will still be a place for 24 fps film or more importantly the film effect that goes with it. Much like black and white film still has a place, though I'd say the film effect will have more use. But at least now it won't be forced, especially for epics or action movies where the extra frames (and thus clarity) will really make a difference. Oh yeah and it was announced today that the films will actually be a trilogy. Evidently they are pulling in material from the appendices, which is where the extra content is coming from. I'm not sure how much that will appeal to the masses, but I'm ecstatic for it. The Hobbit doesn't have appendices. Lord of the Rings does. But from what I understand, a lot of the extra material (e.g. The White Council) comes from Unfinished Tales. I'll love seeing that. 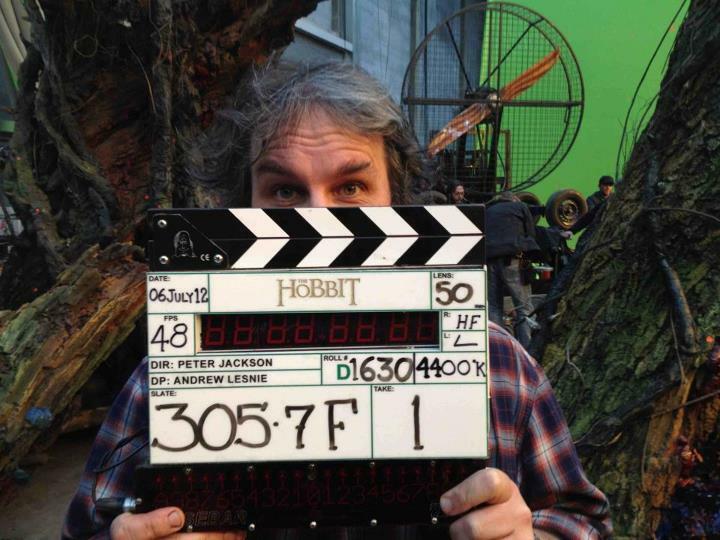 Edit: I am a bit concerned about this becoming a trilogy... Part of me loves the extra material we'll get to see, another part knows how little was actually going on in The Hobbit. I don't want it to become like butter spread over too much bread (or however Bilbo puts it). Part 3 will be awesome, with a huge dragon and the Battle of Five Armies. But what will part 1 and 2 have? Some stone Trolls, Beorn the shapeshifter, some (talking?) Wargs and Spiders, some Goblins... and Gollum. Even with the White Council stuff added, I don't know if it will entertain enough. Personally I'd have removed 'The' from title 2 and use it in title 3. Edit2: Ah it really makes me want to read all my Tolkien books again. Last edited by Angrist : 07-31-2012 at 12:05 PM. Aaaaaaaaaaaaaand I started with reading The Children of Húrin. Good book, it reads pretty fast. After that, I'll start The Hobbit. And then maybe LotR, if I can find the time. And I'm avoiding any movie spoilers, at least until I've finished the book.